Last week the Patent Trial and Appeal Board (PTAB) entered a final written decision terminating an inter partes review (IPR) proceeding that had challenged a patent owned by technology licensing company Kamatani Cloud. According to the PTAB, petitioner Unified Patents failed to show by a preponderance of evidence that any of the challenged claims of the patent were invalid on obviousness ground under 35 U.S.C. § 103. Stroud was referring to General Patent Counsel (GPC), the parent company of Kamatani Cloud, and Shanahan, who is Vice President and General Counsel for GPC, and who defended the IPR on behalf of Kamatani Cloud. 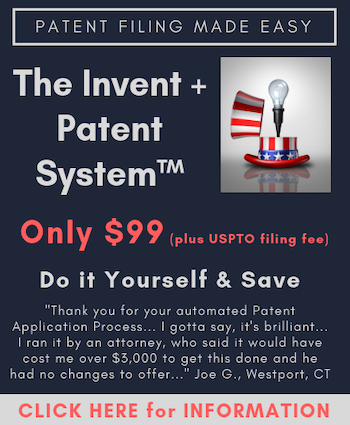 The patent-at-issue in this IPR was U.S. Patent No. 6,873,940, titled Measuring Method and Measuring Service System Using Communication Means and issued in March 2005. The ‘940 patent claimed a measuring service system comprising a server apparatus and a client apparatus connected to each other through an interactive communication line where the server apparatus executes measurement processing on the basis of measurement data sent by the client apparatus and then sends the data on the measurement processing results to the client apparatus for client-side modulation means for modulating the measurement data into signals suitable for transmission. The resulting invention provides a novel measurement service system for carrying out remote measurements or telemetry using communication means. U.S. Patent No. 6606566 (“Sunshine”), titled Computer Code for Portable Sensing. It claims a system comprising memory including a computer code product for detecting and transferring data pertaining to an analyte from a first device to a second device. U.S. Patent Application No. 20020083128 (“Miyajima”), titled Automatic Remote Electronic Instrument Connecting System and Method. It discloses an automatic remote electronic instrument connecting system having server apparatuses connected to electronic measuring apparatuses, a client apparatus for remote-controlling the measuring apparatuses and a dispatcher apparatus for setting a communication path between the servers and client. U.S. Patent No. 5790977 (“Ezekiel”), titled Data Acquisition From a Remote Instrument Via the Internet. It claims an instrument comprising means for storing control and data acquisition software, a server means for forwarding that software to a remote host system, control response means for controlling data acquisition of the instrument and data transmission means for forwarding acquired data from the instrument to the remote host system in response to a data request from the software. U.S. Patent No. 6263268 (“Nathanson”), titled System and Method for Providing Automotive Telemetry. It claims a mobile automobile telemetry system for installation on-board an automobile including diagnostic means for monitoring operational functions of the vehicle, a memory for storing the generated operational information and a server in communication with the diagnostic means and memory to receive a request from a remote client and transmit requested operational information using a protocol that is universally acceptable to all of the remote clients. In upholding the validity of the challenged claims, the PTAB administrative patent judges (APJs) noted that Unified Patents contentions of claim 1 being obvious in light of the combination of Sunshine and Miyajima was based on claim constructions that could not be adopted. The Board also found that Miyajima did not teach detecting “if any instrument has the functional ability to measure measurement data.” Rather, Miyajima simply taught the detection of an instrument’s availability and not the detection limitation specific to the ‘940 patent. Further, the Board found contrary to Unified’s submitted expert testimony that Sunshine taught a detection of an inability to measure, finding that Sunshine rather taught the updating of an electronic library. The PTAB found similar deficiencies in Unified’s arguments leading the Board to uphold all 22 challenged claims of the ‘940 patent. Another hard-fought, well-deserved win in a long line of successes.